I wanted to form a group where I could invite my readers to discuss and promote my books. However, I did not want to make it only about me, Maria Bernard. Shortly after creating RAU, I started inviting other authors of rockstar romance. My goal was to create an easygoing, casual atmosphere where authors and readers could get to know each other and discuss favourite books, bands, and musicians. Through my involvement with the group, I’ve met many readers and writers I now consider good friends. Author Lashell Collins shared a similar vision and is now co-admin for RAU. Together with Author Bella Jeanisse, we have made the group into what it is today. 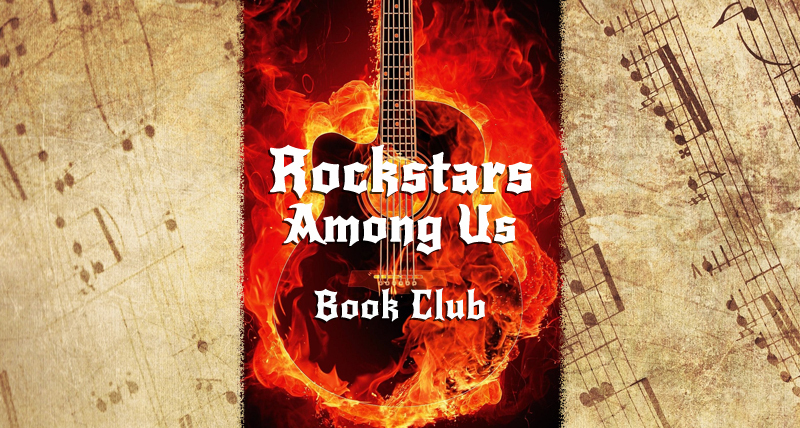 Rockstars Among Us Book Club is open to all readers and authors of rockstar romance. Promotion by authors is welcome and encouraged (as long as promos are rockstar related). Participation of all members (readers and writers) is also encouraged.